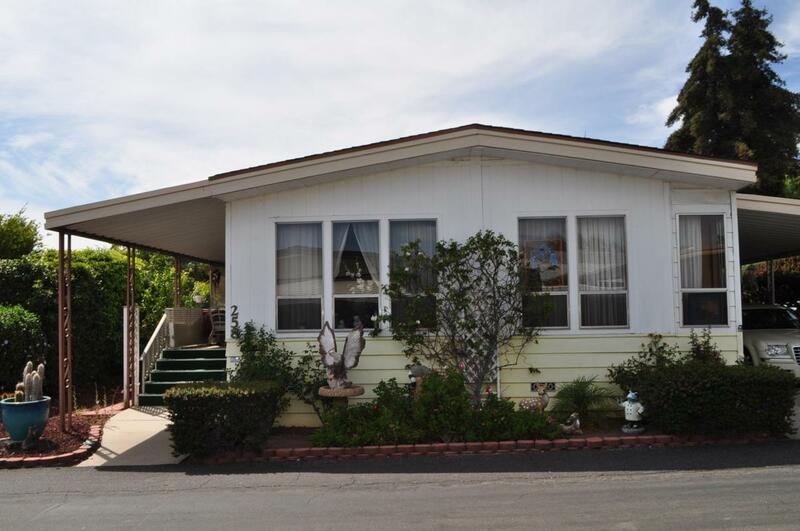 San Vicente, a gated community for adults 55+! Clubhouse, year round heated pool and spa, private tennis courts, shuffleboard, greenbelts and game room. This 1,440 sq. 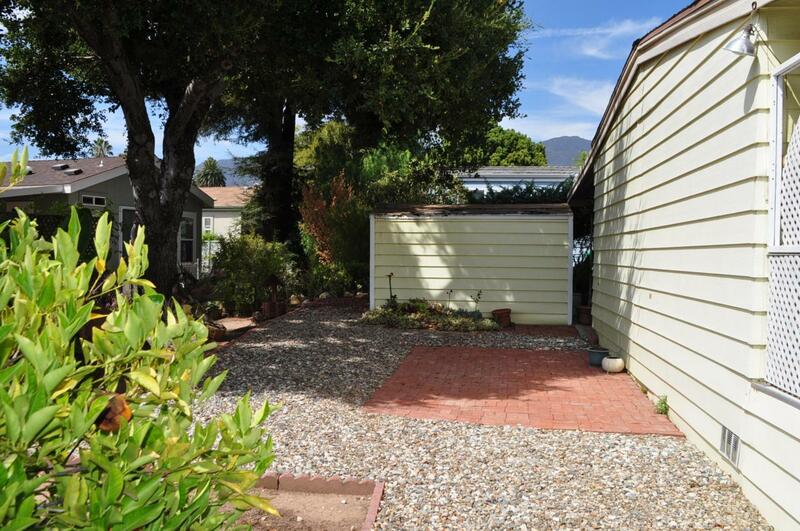 ft. home offers wonderful mountain views and a large, deep lot with numerous fruit trees. 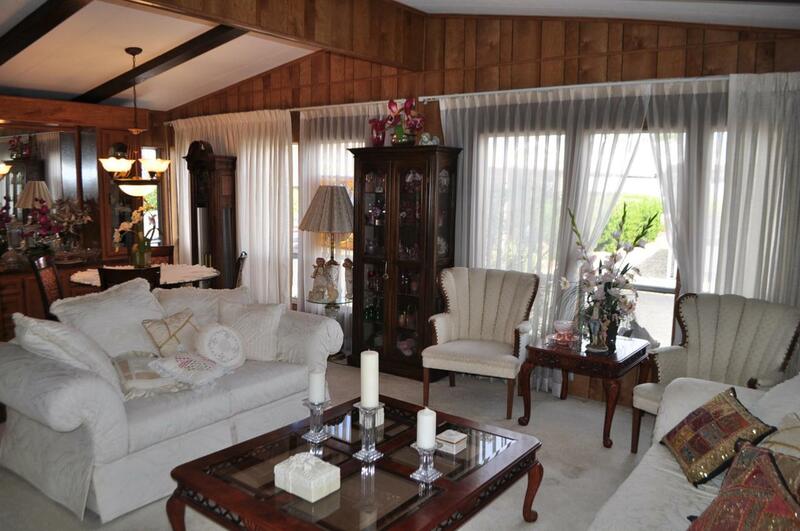 Front formal living & dining rooms with vaulted ceilings and mountain views. Center kitchen with oak cabinets & cupboards, stainless appliances and breakfast nook opens to family room with fireplace and sliding door to covered deck. Rear master suite with large closet and slider to deck and en suite bath with shower, tub and dual vanities. Guest bedroom and guest bath. Separate laundry room. Storage shed. 3 car parking. Space rent $675.00 per month. Shown by appointment only. 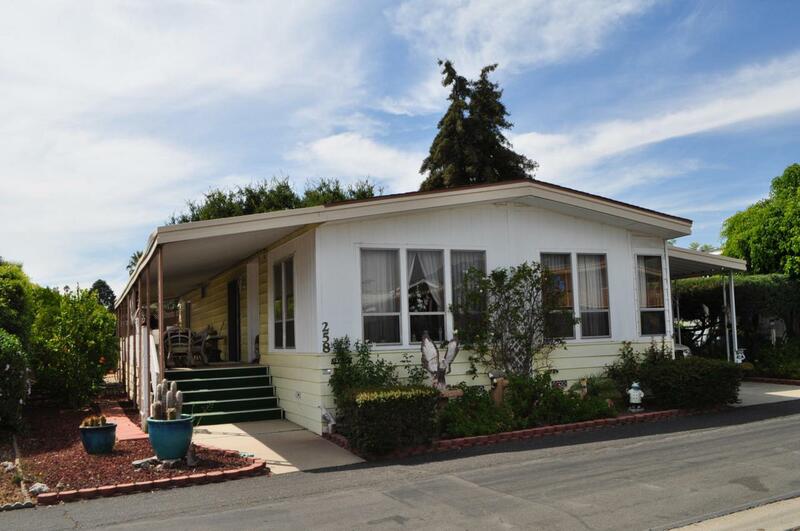 Listing provided courtesy of Village Properties - 1.